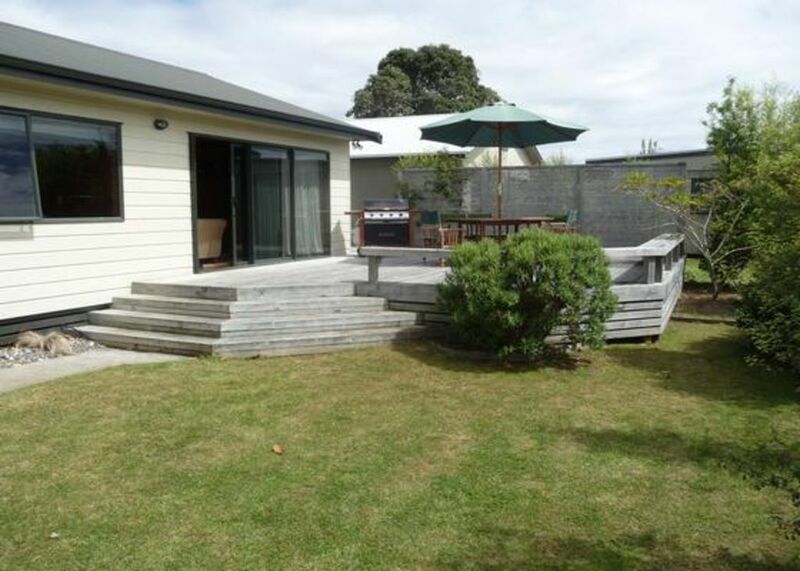 Clean and tidy, located in a quiet street handy to the 9 Hole Golf Course and the Community Heated Pool. Central to Main Beach, Estuary and Town Centre. Home away from home with new quality furnishings to ensure a restful stay. Great outdoor living and entertaining facilities. 2 toilets, 2 showers (1 outside but still HOT). Two Adult and three small kids bikes provided, fishing gear for wharf or surfcasting available. Golf Clubs. Boogie Boards. Sky TV (bring your own decoder). DVDs and lots of books and magazines and games for the kids to play. Extras: Linen (included); NOTE: Under Kiwi bach tradition you are expected to: Clean and vacuum the house and do the dishes before you leave. Wash your sheets, towels etc and hang out to dry. This is our fourth successive stay at this lovely beach house. We love the way the house is presented to a high standard and it is so comfortable with everything you need for a relaxing stay. Thanks for allowing us to stay in your bach. It had absolutely everything we needed and I can't fault this stay. Super impressed. Can't wait for our next visit. Thanks. Excellent family to have stay at our bach. Payment was prompt and communication was A1. The bach was left clean and tidy. Highly recommend these people to other bach owners and we look forward to having them stay again. Kiwi Bach was great, we all had a good time. Despite being winter the whole house captures the sun which made it lovely and warm during the daytime. Very quite spot and close to town. We would come back for another stay. Thank you Kirsty-ann. You were great guests and we would love to have you stay again! Well equipped bach. Especially for children as there are plenty of toys and games to keep them occupied. Warm and comfortable, everything you want in a bach during winter.